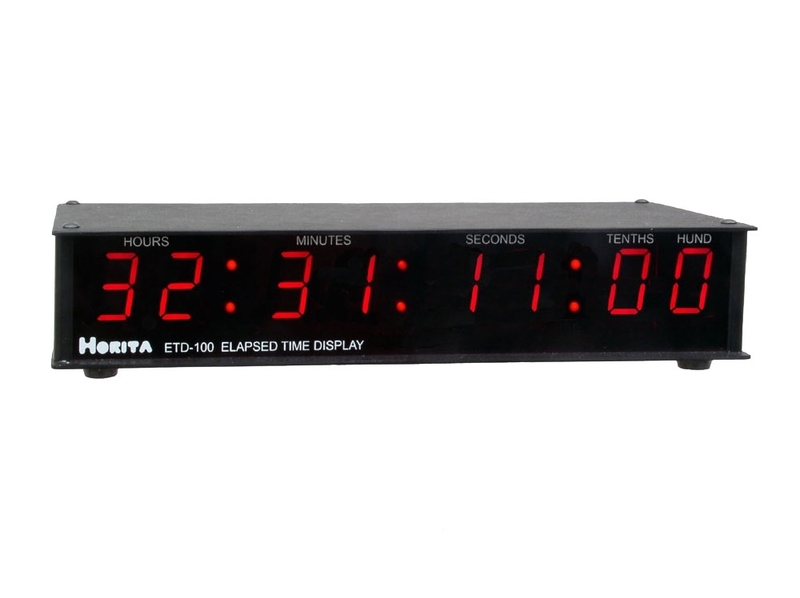 The ETD-100 is a 0.8"H LED display timer that can be used to time various situations and events such as talent, speakers, presentations, experiments, etc. 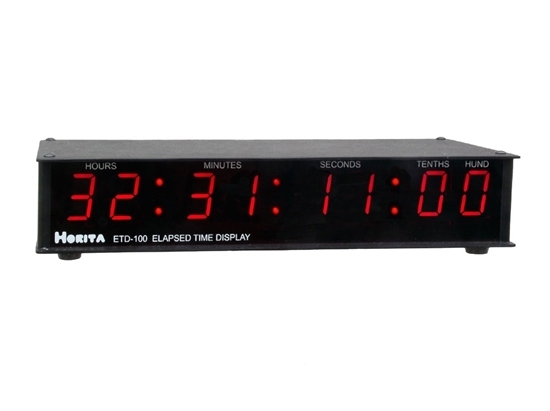 The LED display has a brightness control and the 0.8" characters are large enough to be read across a room. Outputs a "GPI" signal when the count reaches zero. 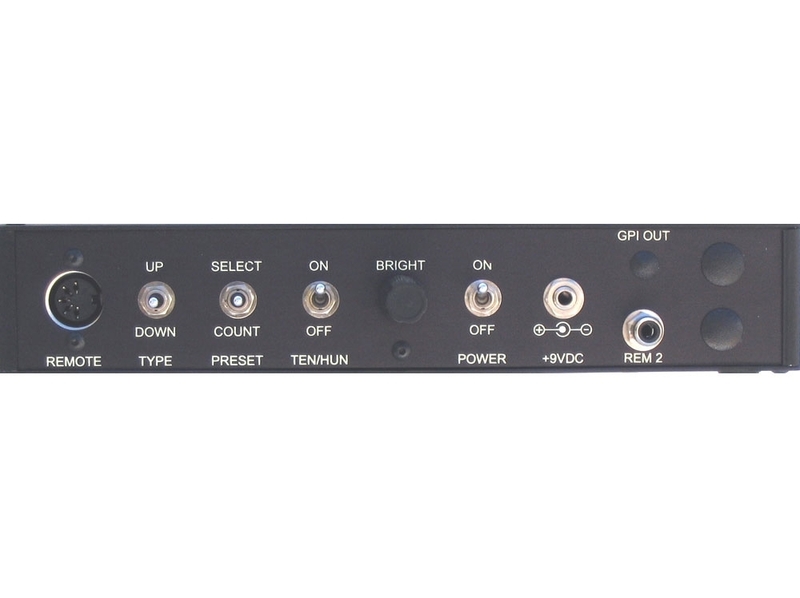 Actuated via simple local or remote switch closure inputs to initiate up counting sequence of reset, count-up, stop, and down counting sequence of preset, count-down, stop. Local and remote setup of the preset time is also available and all counter setup information is retained in EEPROM non-volatile memory that does not require use of a battery. Display of tenths and hundredths of a second can be turned ON/OFF.